U Flashing: For profiled tiles and corrugated sheets. Up stand Flashing: For flat roofs or pitched bellow 17 degrees. 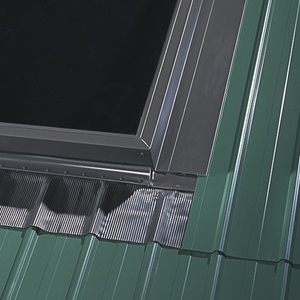 The outer casing is formed in aluminium and powder coated for resistance against harsh weather conditions. A roof window is a window built out from a sloping roof with the window at the same angle as the pitch of the roof. 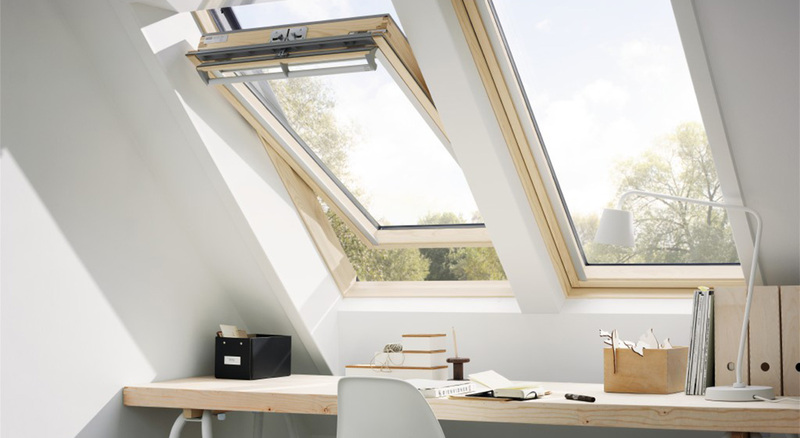 It allows for natural lighting and ventilation into a habitable room or attic. On new buildings the roof structure would be designed to accommodate the roof light. Where a roof light is to be installed in an existing roof structure the roof must be opened and trimmers and framing constructed to receive the roofwindow. 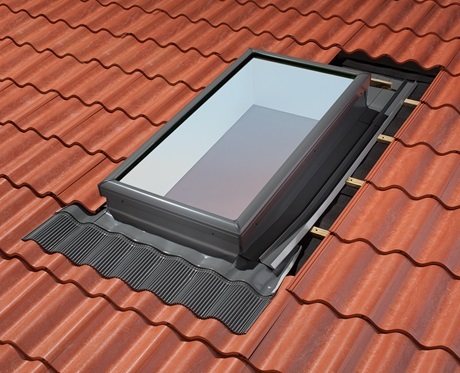 Roof lights are available as roof windows i.e. opening sash, or as a skylight i.e. non-opening fixed light. The frame is constructed from Hardwood and is grooved on the bottom edge to receive the ceiling boards of the light well. 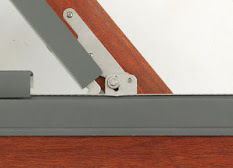 The opening sash is made from hardwood and fitted with a revolving hinge. The sash may be turned outside inwards for easy cleaning from the inside. 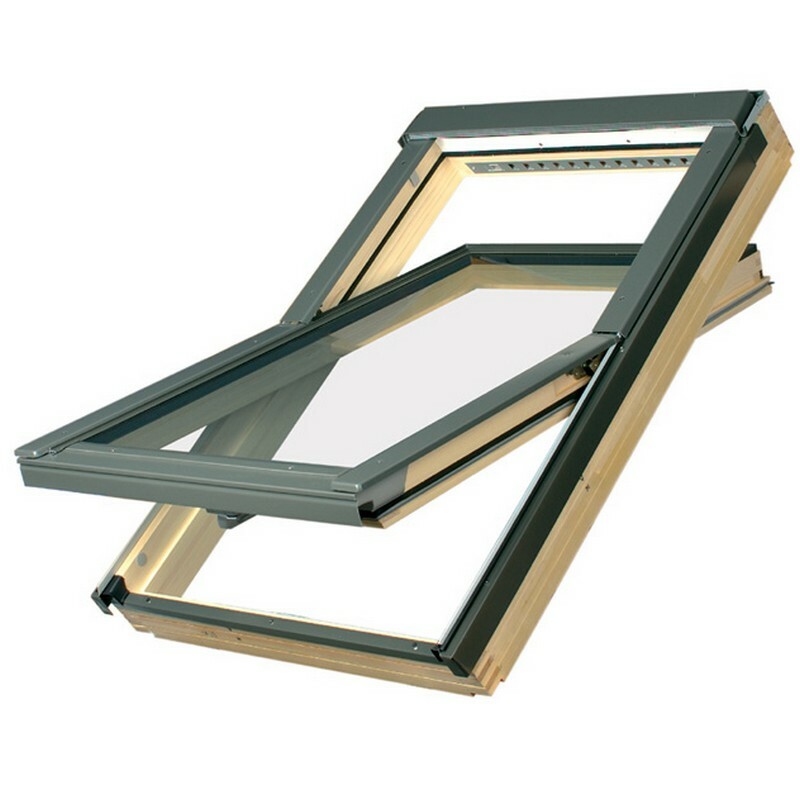 Toughened glass is sealed with a gasket and is secured with an aluminium extrusion to the sash. The frame and sash has a built in ventilator at the top to allow for ventilation when the window is closed and a condensation outlet at the bottom. 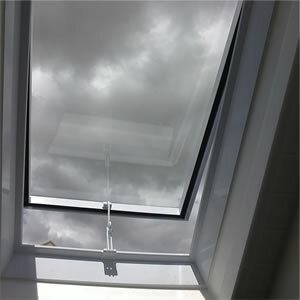 All roof windows are fitted with 4mm heat reflective toughened glass as standard. Where soft furnishings or any item sensitive to UV exposure is situated below the roof windows, the use of optional PVB laminated glass is recommended. In addition, a blind may be fitted for total protection. What happens to heat build up? We offer various options in higher spec heat reflective glazing systems. In addition excessive heat build-up exists through a filtered dust extracting ventilator. 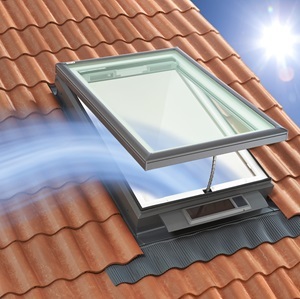 All single glazed units are fitted with a condensation outlet which channels moisture out on to the roof. The use of optional PVB laminated glass or double-glazing will greatly reduce condensation build-up, and is recommended for use in bedrooms and bathrooms. Out of reach Roof Windows can be operated by compact and quiet 220V electric actuators or by aluminium opening rods of various lengths. 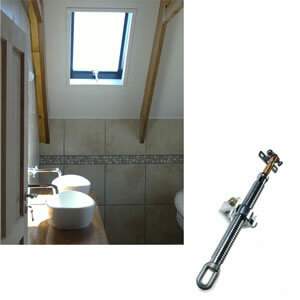 Where a blind is required, a rod with crank handle end is used to open the Roof Window and operate the blind. Roller blinds are available in five colours, two of which utilise block out fabric. Out of reach blinds require a RAB adaptor for crank handle operation. Solid rods are available in lengths of 600mm, 1.2m and 1.8m. 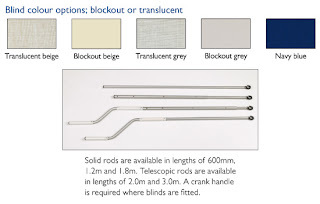 Telescopic rods are available in lengths of 2.0m, 2.4m and 3m. A crank handle end is required where blinds are fitted. 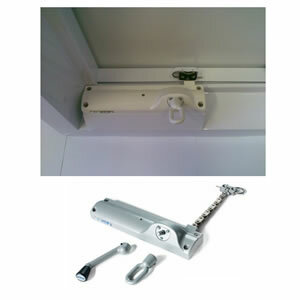 Our unique patented hinge mechanism rotates the sash through about 165 degrees to allow easy cleaning from inside the room. We further offer the option of solid stainless steel hinges for corrosion resistance in coastal applications. 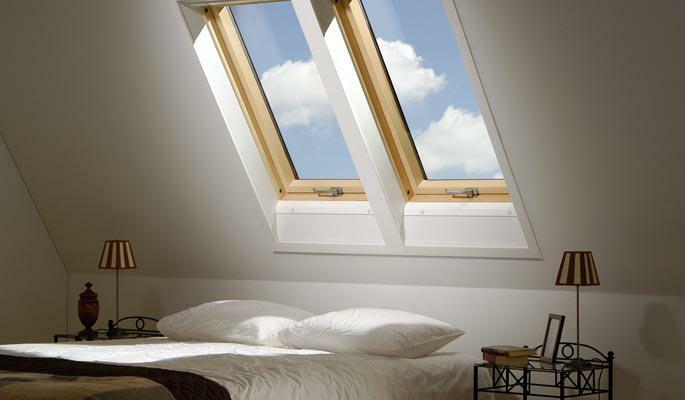 Solar Solutions roof windows are available as opening units (for both light and ventilation) and as non-opening units for light deprived areas in your home. 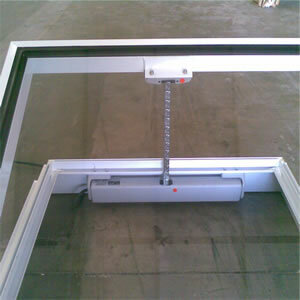 We offer various opening options if you are looking for Automated Roof Windows. 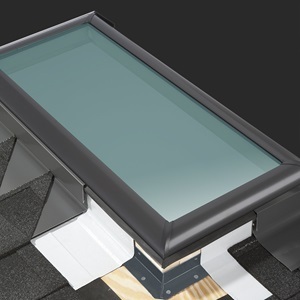 Solar Solutions can automate your roof window or skylight. 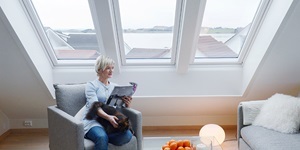 Read through our automated roof window options below. 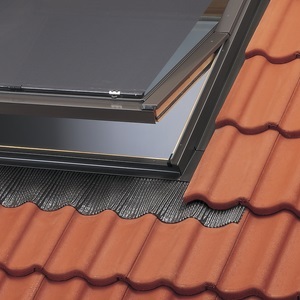 The Electric opening roof window opens to a maximum height of 350mm. 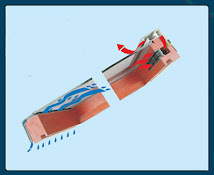 The motor can be operated via a switch or one of the automated options. Like the Cat Winder the motor is chain operated.